Time, motion, sequences. 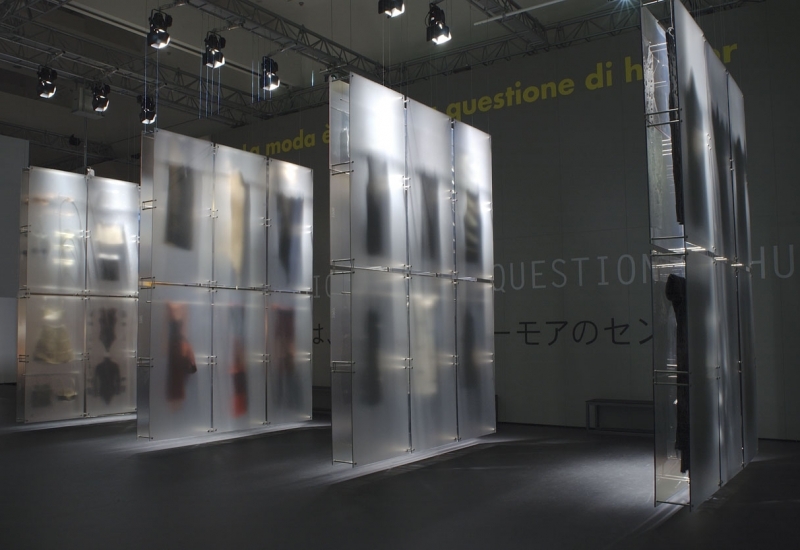 Movements of mechanisms and lights, whose operating cycle determines a dynamic and “in time” reading of the exhibition. Seven large suspended structures in the main hall, motorised and synchronised with lights and projections of texts, move in various sequences, revealing and concealing their contents. 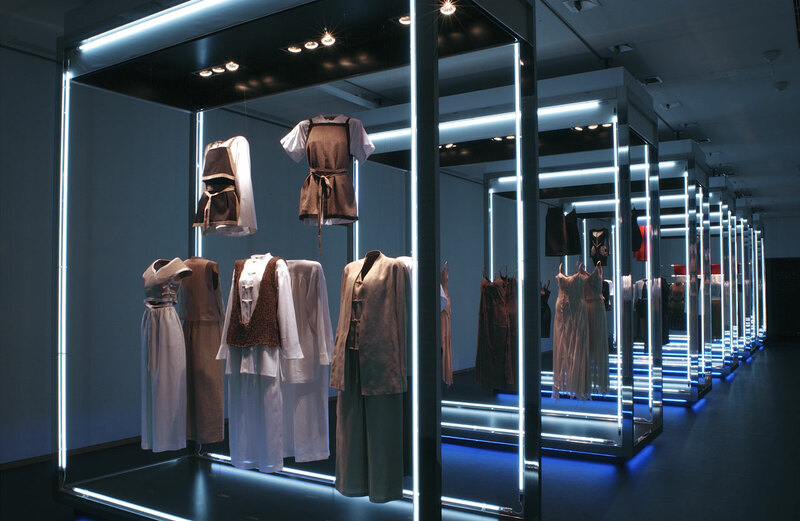 Clothes seen as a work of art, which comes to life through usage and motion. 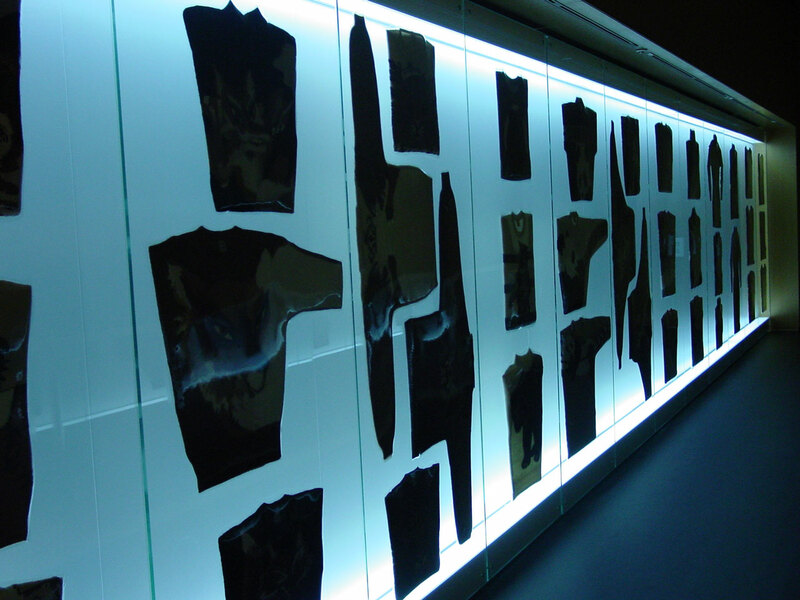 Tall glass sheets covered with polarised film determine the objects on display which may be either out of focus or perfectly visible, depending on the viewpoint. Visitors are forced to move around to focus on and study the interior. 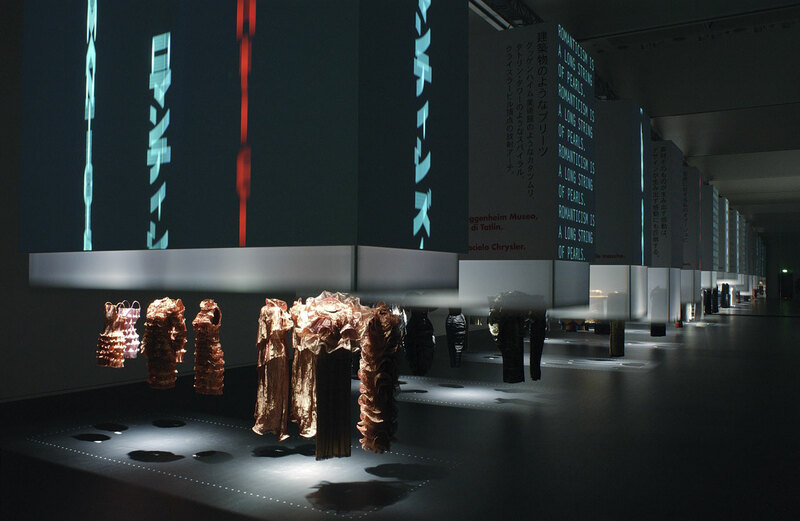 Multi-projections of texts running across three sides of the suspended structures and inside them spotlights, whose intensity is synchronised by the opening and closing of the structures, light up the clothes on display. Time, motion, sequences. Movements of mechanisms and lights, whose operating cycle determines a dynamic and “in time” reading of the exhibition. 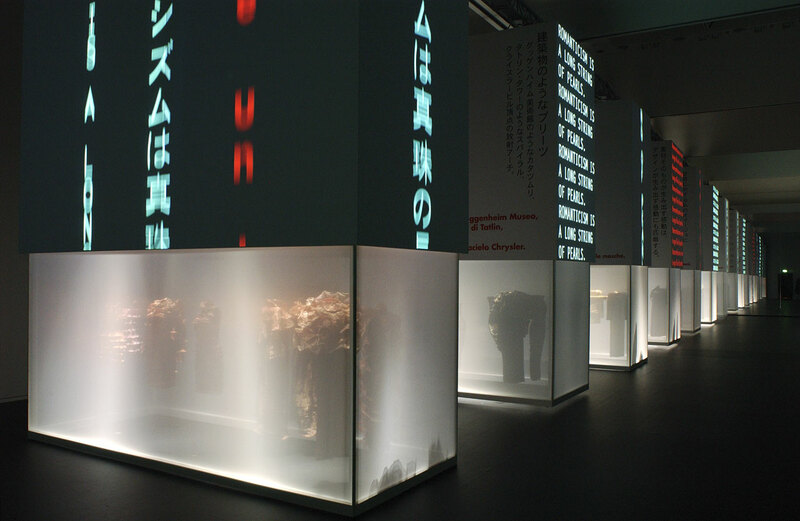 Seven large suspended structures in the main hall, motorised and synchronised with lights and projections of texts, move in various sequences, revealing and concealing their contents. 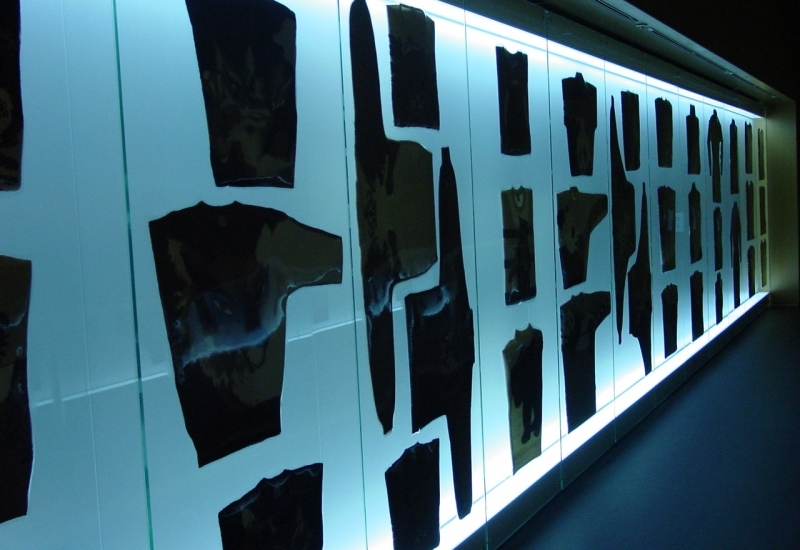 Clothes seen as a work of art, which comes to life through usage and motion.